Vic Law dribbles the ball. The senior forward leads Northwestern in scoring heading into Sunday’s game. In mid-February 2015, coach Chris Collins and his Northwestern team found themselves in a hole. The Wildcats had started the 2014-15 season sharp, going 10-4 in nonconference play and even winning their Big Ten opener against Rutgers, but then they dropped 10 straight against Big Ten opponents and entered a home game against Iowa on the heels of a 24-point loss to Michigan State. NU won that game in overtime, and while the win didn’t completely salvage the season, it gave the Cats a much-needed confidence boost, powering them to win four of their last seven of the campaign. Almost exactly four years later, NU is in a similar hole. The Cats (12-10, 3-8 Big Ten) hopped out to a 9-4 start but have now lost three straight and have the fourth-worst scoring offense in the nation among Power Five teams. Their leading scorer, senior forward Vic Law, is in a slump. The team hasn’t shot above 39.6 percent from the floor in their last five games. And now, just like in 2015, they’re preparing to face a Hawkeyes team in an effort to swing their season. NU will face No. 20 Iowa (18-5, 7-5) on the road on Sunday, looking for its fourth conference win of the season and its first win over the Hawkeyes since 2017. The Cats struggled again to score in their home loss to Penn State on Monday, despite holding the Nittany Lions to only 59 points, and they are searching for a boost in confidence to remedy the large gap between their offensive and defensive performances of late. The Cats haven’t collected a win in the Hawkeye State since the 2011-12 season, and they have yet to beat a ranked opponent since their win over then-No. 20 Michigan last February. NU will also look for its first win over a Quadrant I opponent — a category used by the NCAA Tournament selection committee to classify all Division I teams — in eight attempts this season. Iowa extended its recent hot streak with a win Thursday against Indiana and upset No. 7 Michigan on Feb. 1. The Hawkeyes currently average the second-most points in the conference at 81.7 points per game, but also allow the second-most per game at 72.9. However, the Cats haven’t scored more than 62 points in their past three games, and have scored more than 70 points just twice in 2019. When the two teams met earlier this season on Jan. 9, the Hawkeyes pulled away with a 73-63 win. The game was close for the first half, but Iowa capitalized on NU foul trouble and went 17-for-19 from the free throw line in the second to take a win back to Iowa City. 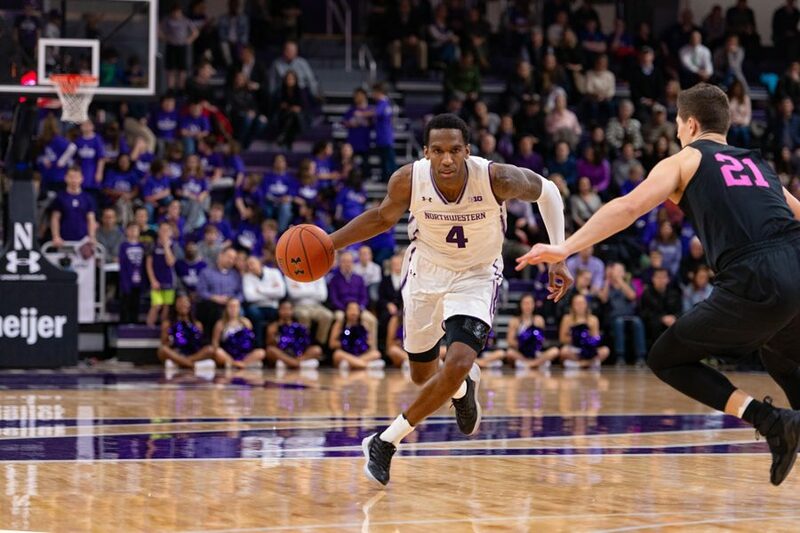 With nine games left on the schedule, the race to finish with 10 Big Ten wins is on — right now, the prediction of a popular analytics system has NU finishing the season at 15-16 overall and with a 6-14 conference record — the clock for the Cats to secure a chance at the postseason is ticking.